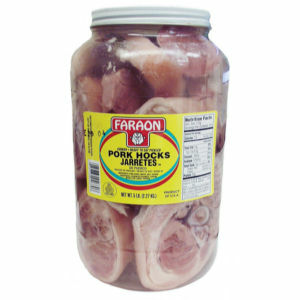 About 12-14 pieces per jar of "Jarretes" pork hocks. This product is fully cooked and ready to eat. Packed in vinegar with bay leaf and peppers, with the bone in.